With blooms blossoming and weather finally beginning to cooperate, there’s no time like the present to be outside! And this weather (and some recent spring cleaning) has us thinking about books to dust off and bring outside with us. 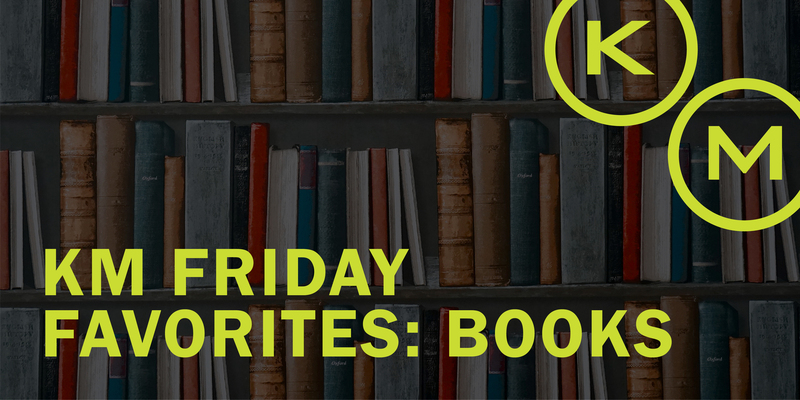 So if you’re wanting to spring into some great reading, here are some of our favorites right now! This is a great read on how building strong relationships with your customers and clients really starts with your internal culture. Whether you’re leading a team of 2 or 200, or even just thinking about how you can contribute to the company atmosphere, this is an awesome read! Written by acclaimed restauranteur and St. Louis’ own (shoutout to our HQ), Danny Meyer of Shake Shack and Union Square Cafe, shares the principles of his philosophy, Enlightened Hospitality. He talks about building strong relationships with an emphasis on customer satisfaction. While these tenants certainly apply to the hospitality industry, Meyer clearly shows how this practices can be applied to most industries and businesses. We might be jumping the gun since this book isn’t even out yet, but we had to put it on your radar so you could place your pre-order! You likely know the names behind companies like Apple, Google and Inuit, but do you know the name behind the names? Bill Campbell – mentor to some of the Silicon Valley’s very best. In this book, written with the help of How Google Works, you’ll get an insider’s view into some of his favorite management tips, all complied into one place. In an increasingly digital world, the concept of code can still feel fairly foreign to many – and those Coders who write it seem to be speaking a different language to many of us on the outside. This book examines who they are, what drives them, what they really do, and the art form that is coding! If your spring reading has you inspired to look for another job, check us out! We growing across the country!